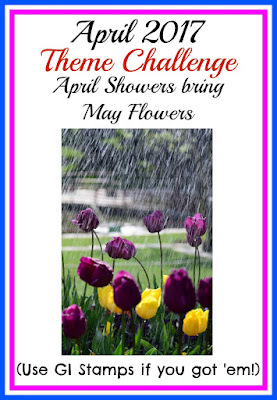 featuring tulips, pansies and hyacinths. It made a perfect focal point for the belly band of the gate fold card I am sharing with you today. You'll find a close-up of the belly band on my blog here. 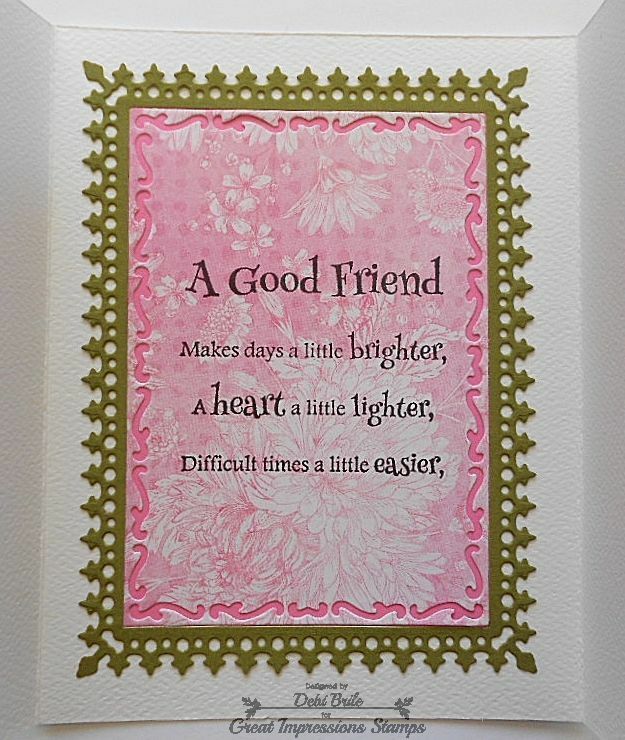 The inside of the card features Great Impressions A Good Friend Rubber Stamp (E830) . We are over halfway through the month of April already. If you haven't linked up a project yet, you still have time. 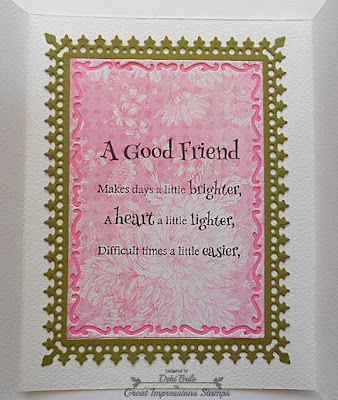 Wishing you beautiful days and good friends! 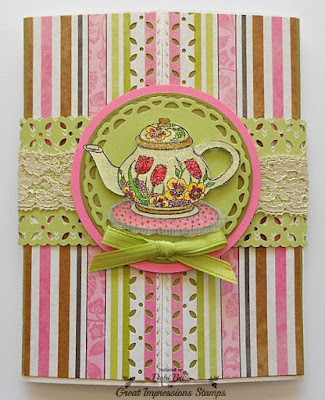 Your card is beautiful inside and out!